Society considers a person’s home sacrosanct. It’s deemed a place of peace, sanctuary, privacy and safety. That’s why invasion of another person’s dwelling is taken so seriously under Florida law. Home invasion robbery is one of the most serious offenses on the books. It’s considered a first-degree felony, regardless of whether a firearm or some other deadly weapon was used. Without a weapon, the maximum penalty is 30 years. If a firearm or deadly weapon was employed, you’re looking at a sentence of up to life in prison. At The Ansara Law Firm, our Fort Lauderdale home invasion robbery defense attorneys know Florida is one of the few states that recognizes home invasion robbery as its own specific crime (not just a form of robbery or armed burglary). Determining the commonality of home invasion robbery is difficult because the FBI does not specifically count “home invasion” crimes. However, Florida police chiefs have commented in recent years about an uptick in home invasion robberies as other frequent robbery targets – i.e., banks, restaurants, convenience stores, etc. – beef up their security measures with technological advances. Private homes are less likely to have this level of protection, and thus are more vulnerable. Although Florida makes home invasion robbery a separate crime, the state doesn’t tally it specifically in the Uniform Crime Reports released annually. However, with regard to overall robberies, there were more than 21,000 in the state in 2015. The National Crime Victimization Survey estimates that approximately 7 percent of all home invasions involved some form of violent victimization (which includes robbery). To help you understand how an experienced criminal defense attorney can help, we first must unpack the various elements of home invasion robbery. What is Home Invasion Robbery? Although there are other types of home invasion that involve intent to commit other crimes (i.e., sexual assault, kidnapping, assault, homicide), F.S. 812.135 is specific to the action of unlawfully entering a home with intention to commit a robbery. Most of these offenses rarely involve a solo operator, though it’s not unheard of. In many cases, they rely on a sudden, violent burst of entry into the home, which creates a chaos that can overwhelm occupants and puts the offender in control. Firearms or other weapons are almost always used. Seen with money/ expensive vehicle/ costly jewelry. There is also a heightened risk for those who manufacture, cultivate or distribute illegal drugs, given that reporting such an offense would be high-risk to the alleged victim. Home invasion robbery is considered a first-degree felony, and it’s also deemed a Level 8 offense on Florida’s Criminal Punishment Code. It is a non-bondable offense, which means the accused will remain in prison until such time the state files the charges. There is a presumption based on the severity of the charge that a defendant will remain incarcerated until trial. However, a defense lawyer can request an Arthur Hearing to ask the judge to grant bond. These penalties can be increased in cases where a firearm or weapon is used. In those instances, because it is boosted to a Level 10 offense, the minimum mandatory sentence is 66 months (5.5 years) in prison. The maximum penalty is life in prison. Defendant committed the robbery while inside the dwelling. They will use forensics, witness statements and circumstantial evidence to prove their case. Each of these elements can be challenged under a number of pre-trial defenses. We know that witness statements are often deeply flawed, and forensics aren’t as bullet-proof as they might seem. If you or a loved one has been accused of home invasion robbery, we can help you formulate a well-reasoned, well-prepared defense. 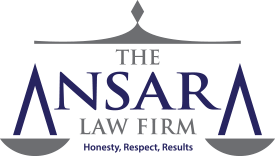 If you have been charged with a violent crime in South Florida, contact the Fort Lauderdale Criminal Defense Lawyers at The Ansara Law Firm by calling (877) 277-3780.